Gerard Depardieu makes it very difficult to remember his prolific acting career. He’s been in 206 movies and TV shows and My Father the Hero not withstanding, has been in a lot of great films. His newest, Welcome to New York, a film about the gross former French presidential candidate Dominique Strauss-Kahn has a very respectable 76 percent on Rotten Tomatoes. But this week he’s distracting the world again with the proclamation that he drinks enough alcohol for a small-but-expensive wedding. 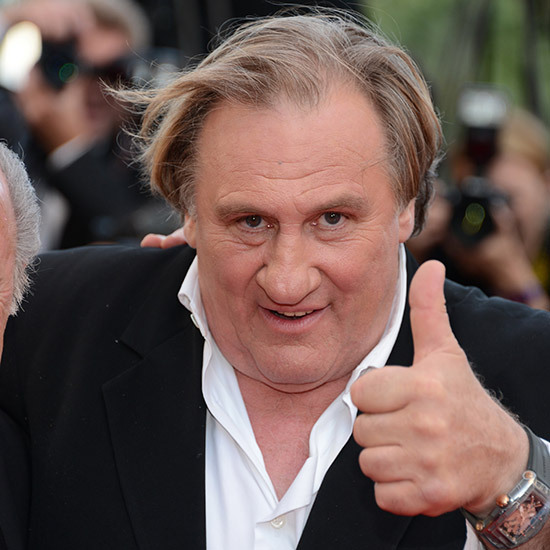 In an interview with So Film magazine (exerpted here), Depardieu said that he “starts at home, before 10 a.m. with Champagne or red wine. Then again to Champagne.” He goes on to have half a bottle of pastis (an anise liquer that comes in at around 80 proof), then two bottles of wine with some food, an afternoon filled with beer, Champagne, the rest of the bottle of pastis and then a nightcap of whiskey and with a side of vodka. He claims to never get totally drunk, although the rest of his stories cast some doubt on that. In the same interview, he indicated that he had bashed a cop’s head with an ashtray because he refused the Champagne Depardieu was offering.